Relax, Breathe Deeply and Savor the Moment. Couples massages, off-site massages and last-minute massages need to be scheduled via phone. Call 515-270-0030. Massage therapy not only helps you feel great, it has been shown to improve your health. Welcome to Serenity Massage. We want to meet you and help you take essential steps along your health journey. The approach to massage therapy by Jill Ellsworth, LMT, BS, and owner, is unique, tailored to your individual needs and soundly based in professional best practices. These are the basics of massage therapy applied to YOUR life or the lives of those important to you. Make an appointment. Purchase a gift certificate. You will be glad you did. The next meditation class is Thursday May 2nd from 3:30-4pm. 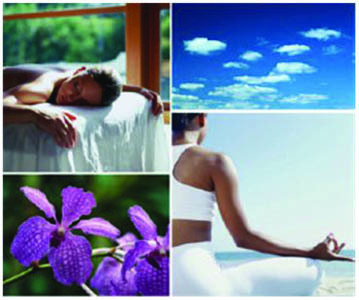 RSVP to Jill at 270-0030 or serenitymassage@q.com Relax, breathe deeply and savor the moment! Serenity Massage will be closed Easter Sunday. Jill’s favorite Bible verse: Be still and know that I am God. -Psalms 46:10. Jill and her colleagues will be at DC-G High School tomorrow night (4/13) from 11pm-2am doing chair massages for the after prom party. If you know a DC-G junior or senior that could use a little relaxation, send them our way! Never underestimate the power of a stretch. Jill just learned some new stretching techniques at a Continuing Education class. If you’re curious on how you can keep your body flexible, just ask! Administrative Professionals Week is 4/22-4/26. Appreciate your right-hand person with a massage gift certificate! The only people who don’t like it when you set healthy boundaries are the ones who received benefit from you having none. Jill will be on vacation 3/24-4/1. Plan your appointments accordingly. It is believed that stress is the cause of 75-90% of primary care visits. Relieve some stress today with a massage! Never underestimate the power of a strrreeeettttccch. Need a spring break by the hour? Couples massages and mother/daughter massages continue to be popular. The more notice you give us, the better. Relax, breathe deeply and savor the moment TOGETHER! Planning a wellness event at your workplace? Chair massages are popular, and morale pops up like a daisy on a spring day! Call Jill at 270-0030 to schedule. Our next meditation class is Tuesday April 9th from 1-1:30. RSVP to Jill at serenitymassage@q.com or 270-0030 to attend. Cost is a free-will donation, and the average donation is $5/person. Winter blues got you down? Massage therapy may help with anxiety and depression. Relax, breathe deeply and savor the moment! Join us for meditation class today, and let those winter blues melt away. Class is from 1-1:30 today (Tuesday March 5) at Serenity Massage. Our next meditation class is Tuesday March 5th from 1-1:30. Meditation may help alleviate, stress, depression, and anxiety. In winter in Iowa, sometimes all 3 of these conditions happen simultaneously! RSVP to Jill at serenitymassage@q.com or 270-0030 to attend. Cost is a free-will donation, and the average donation is $5/person. Do you find your mind going a million miles a minute? Do you have trouble sleeping? Do you have problems focusing? If you answered yes to any of these questions, then meditation may be for you. Join us from 1-1:30 today, Friday February 22, at Serenity Massage for meditation class. No prior meditation experience necessary. RSVP to Jill at serenitymassage@q.com or 270-0030. Relax, breathe deeply, and savor the moment! Have I mentioned before we have HEATED massage tables? Massage gift certificates make a great Valentine gift. Click above to make it happen! Be kind, be honest, be loving, be true; and all of these things will come back to you. The first 10 couples to book their Valentine’s Day couples massage package (on Valentine’s Day or any Saturday in February) receive a $10 Cosi Cucina Italian Grill gift card! Do your muscles need soothing from the aches of winter? Massage appointments are available today (Wednesday) between now and 4:30! Need to thaw out? We have heated massage tables!!! Looking to do something special for Valentines month? It’s never to early to book your couples massage! The sooner the better for best pricing and availability. Merry Christmas Week! Jill will be unavailable for massages 12/24-12/26. Balance is key when it comes to good health. Plan a mix of fun time with friends and family as well as some quiet time to reflect this holiday season. Are you behind on your holiday shopping? Make shopping a stress-free experience with Serenity Massage gift certificates. Click on the flyer above or ask Jill about holiday gift certificate specials! FREE chair massages will be happening for Central College students in Pella at the student center this Sunday December 9th from 7-10pm as part of their pre-finals winter party. Relax, breathe deeply, and de-stress with chair massages and other relaxing activities! Do you or someone you know attend Iowa State University? Stop by for a free chair massage in Parks Library in the rotunda area between 1 & 4 on Monday, Wednesday or Friday 12/3, 12/5 & 12/7 for some stress relief during finals week. This is part of the Barks with Parks event, and there will be therapy dogs there as well as chair massages from Jill. Did time get away from you and you want a massage but didn’t plan ahead? Serenity Massage is above average in accommodating last-minute massage requests. Call 515-270-0030 today and relax, breathe deeply, and savor the moment! What do heated massage tables and a wood oven grill have in common? They are both part of the Holiday Special at Serenity Massage! Buy a one-hour massage gift certificate, and receive a $10 gift certificate to Cosi Cucina Italian Grill. Buy $100 in gift certificates, and receive a $20 gift certificate to Cosi Cucina. Let your stress melt away on our heated massage tables, then continue the relaxation with dinner in the inviting atmosphere of Cosi Cucina as the warmth of the wood oven grill greats you as you walk in. This cannot be combined with another offer, and is good while supplies last. No one can make you feel inferior but yourself. Join us for meditation class on Tuesday November 6 from 1-1:30. No meditation experience necessary. Free-will donation (average donation is $5/person). RSVP to Jill .